When corn planting and early crop development are slowed by rainfall and less-than-perfect conditions, corn diseases should be a key target for crop scouting as the growing season unfolds. This will allow producers to not only react to those diseases, but also help them know what types of crop conditions they may encounter at harvest as a result of any in-season disease pressures. Disease pressures are a major concern for a lot of corn farmers. 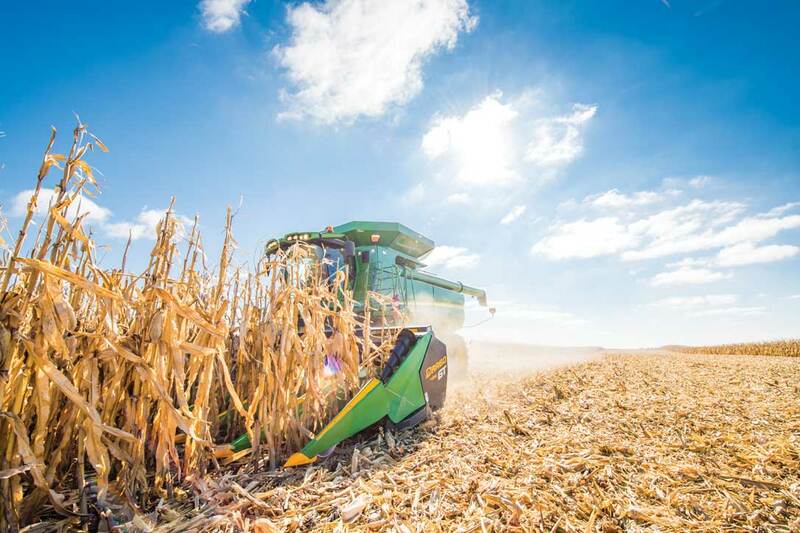 A survey of more than 450 corn farmers conducted by Dragotec USA reveals diseases and the yield loss they can create are among the top four yield-reducing variables in their fields, with 42.1% saying it’s the most important factor in limiting yield. Gauging the potential yield loss you’ll face at harvest depends most on the part of the corn plant each disease attacks. Foliar diseases and those that primarily hit corn stalks have similar effects on late-season development as harvest nears, with stalk and ear lodging leaving plants most susceptible to yield loss. And, diseases don’t hit the corn crop in a vacuum; the presence of other adverse conditions can magnify the potential damage of common diseases like gray leaf spot. Here are a few key diseases to watch that can lead to yield loss both at different times during the growing season and at harvest. 42.1% OF FARMERS say disease pressure is the greatest factory impacting corn yield in their fields. Gray leaf spot is considered by many to be the greatest disease threat to corn in the world, and susceptibility is widespread across most all corn hybrids. The fungal disease causes lesions that lead to yellowing leaf tissue and reduced photosynthetic activity, causing shortened yield potential through smaller ears with fewer kernels. When scouting, look for small, irregularly shaped, yellowish lesions between veins in corn leaves. Extended periods of high humidity (above 90 percent) from rainfall, dew or irrigation in combination with moderate temperatures help promote gray leaf spot infections, according to University of Nebraska plant pathologist Tamra Jackson-Ziems. If you plant continuous corn, were delayed in planting this spring or use minimum tillage systems, you may be at higher risk for gray leaf spot. Applying a fungicide when the disease is at or beyond the threshold for economic damage is key to effectively managing the disease. And, managing crop residue, like through the chopping option in the Drago Series II and GT corn heads, can help residue break down quicker, trimming the chances of gray leaf spot spores overwintering and causing early-season outbreaks. Common and southern rust, also fungal diseases, can come on quickly if the conditions are right, typically when leaves are exposed to surface moisture for more than a few hours at a time. Both are characterized by rust-colored pustules on leaves, both on top and the underside. The later in the season rust shows up, the darker the pustules appear. Also look for yellowish “halos” around the darker-colored pustules. Scouting for rust is best done after conditions conducive to the disease’s development have been present, paying close attention to the economic threshold for treatment. Applying a fungicide should happen when weather conditions are expected to continue to be favorable for rust’s development, namely high temperatures and humidity levels. Though Goss’s wilt and leaf blight also causes yellowish lesions on corn leaves, they’re a distinctly different shade than common or southern rust, and they develop into streaks that resemble water soaking or “freckles” on infected leaves. The bacterial disease first infects leaf tissue, but can cause stalk rot and plant mortality if left untreated. Symptoms can be mistaken for leaf scorch and other drought damage. Moisture and temperatures below 80 degrees are key to Goss’s wilt development, especially in fields with heavy residue, either on or below the surface. Since it’s a bacterial disease, fungicides are not effective, leaving residue management and aggressive crop rotations key long-term strategies to keep it at bay, according to Jackson-Ziems. Diseases like gray leaf spot and Goss’s wilt thrive in conditions when a lot of crop residue remains from previous years. That makes it important to handle residue the right way, as you can with the variable residue-sizing options in the Drago Series II and GT corn head chopping options. In addition to managing field conditions like residue, specific attention to the variability that fungicide treatments and the conditions under which they’re applied is key to minimizing the potential for yield loss up to and through harvest.